This recipe came from Top Secret Recipes. We love it! For the rolls, dissolve the yeast in the warm milk in a large bowl. Mix together the sugar, butter, salt and eggs. Add flour, and mix well. Knead the dough into a large bowl, using your hands dusted lightly with flour. Pour in a bowl, cover, and let rise in a warm place about 1 hour, or until the dough has doubled in size. Roll the dough out on a lightly floured surface. Roll the dough flat until it is approximately 21 inches long and 16 inches wide. It should be about 1/4 inch thick. For the filling, combine the brown sugar and cinnamon in a bowl. Spread the softened butter evenly over the surface of the dough, and then sprinkle the cinnamon and sugar evenly over the surface. Working carefully from the top, roll the dough down to the bottom edge. Cut the rolled dough into 1 3/4 inch slices and place 6 at a time, evenly spaced, in a lightly greased baking pan. Let the rolls rise again until double in size (about 30 minutes). Bake for 10-15 minutes or until lightly brown on top. 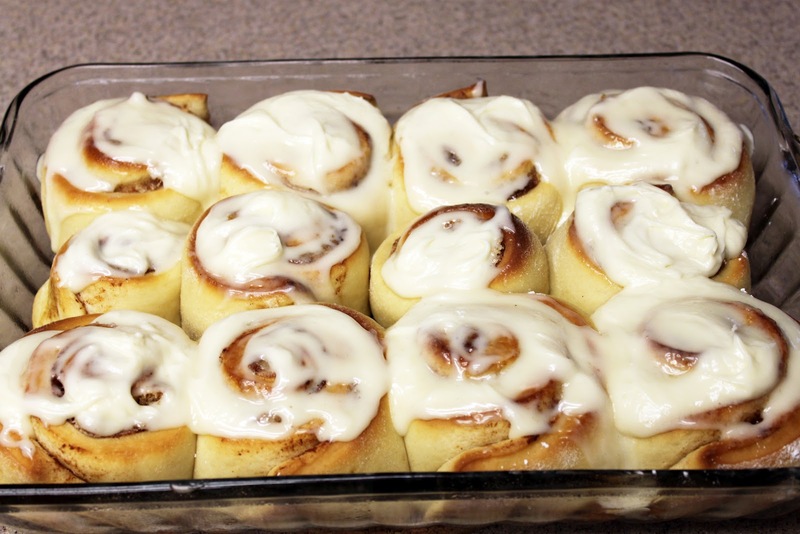 While the rolls bake, combine the icing ingredients. Beat well with an electric mixer until fluffy. 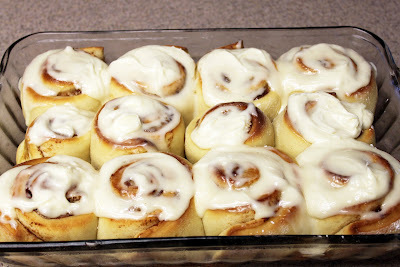 When the rolls come out of the oven, coat each generously with icing. Enjoy!